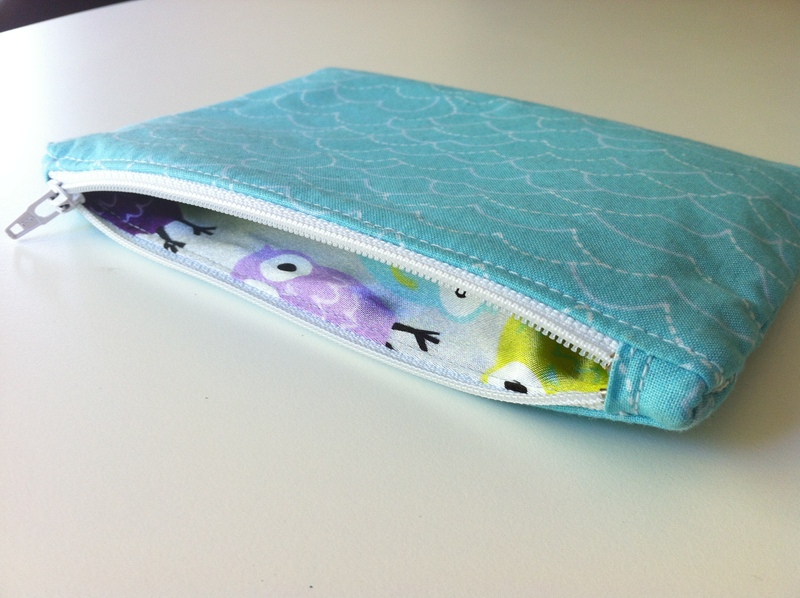 After seeing how fun and easy sewing a simple zipper pouch was, I couldn’t help but make a couple more. I’ve been looking for a project worth using some beautiful silky owl fabric. 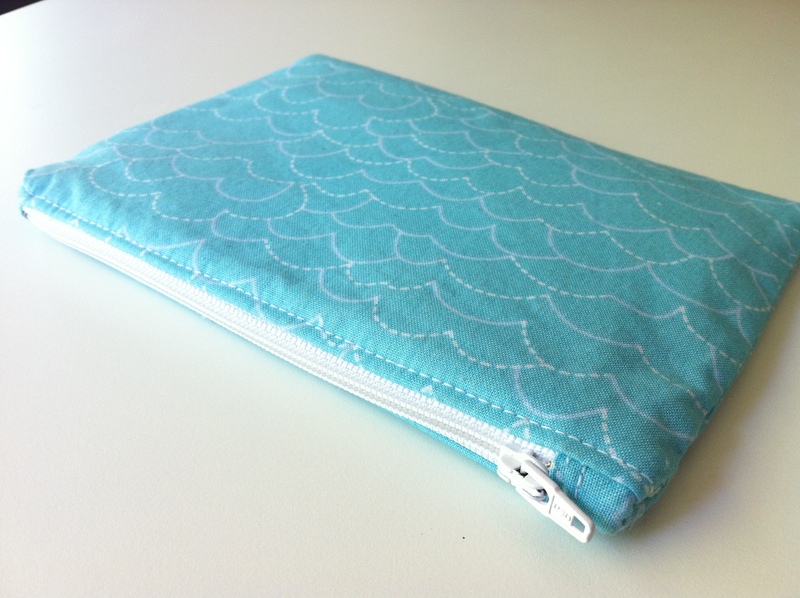 It ended up making a great lining for a small make up bag with a blue cotton as the exterior. It makes me happy when I open up my bag and get a peek at the colorful little owls. Now, who doesn’t love great designer accessories? 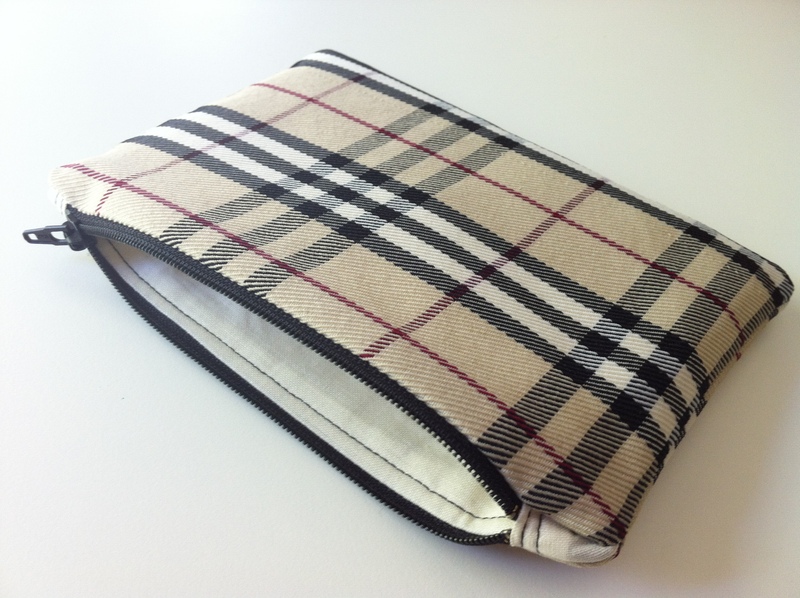 Burberry is definitely one of my favorites to drool over. 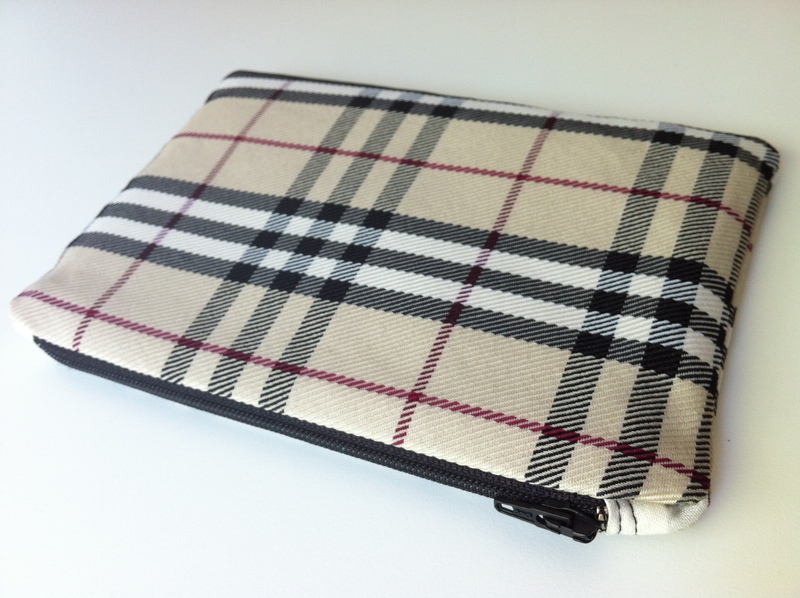 I came across this great Burberry inspired plaid fabric. Yes it looks quite similar and it made a perfect fancy little zipper pouch! This is a great fabric busting project as well. It dawned on me this morning I could take some of my son’s old t-shirts and make a couple of special zipper pouches. Definitely a better use of some of his things that are boxed up and collecting more dust. Plus the thought of having that tiny piece of him nearby makes me smile =) I’m sure they would make great family gifts as well.